Unique Townhouse in Sought After Yarrow Hill! Fantastic View Home on Hat Island - A Must See! Fantastic View Home.South view of sound. Across from bluff. Quality thru entire home. Upscale cabinets, tile counter. Great room w/ wood stove. One bedroom on main level. Full upgraded bath never used.2 bedrooms upper level, full bath. Open Kitchen Beautiful. large counter, Great room. 80% of home has view. Large entertaining wrap around. Garage. Sellers are master gardeners. The most beautiful gardens. 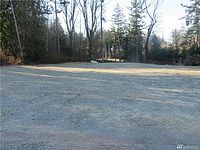 There is a second bluff lot w/ shed available. MOST FURNITURE & TOOLS STAY. A MUST SEE! Fantastic Custom Rambler. Unobstructed View of Sound , Mountains, City and Marina from 70% of home. Oversized Kitchen with Tile floors, Counter and Beautiful Cabinets. The kitchen opens to a great room with free standing wood stove, large windows, skylights, beautiful Stone wall with shelves. Large Master with private bath and jacuzzi tub. Two more bedrooms with 3/4 bath. Office, Dining room, utility room. Large entertaining Deck and Solarium. Outdoor covered for Golf Carts, Wood and Toys. Pond Hardy Plank Siding. Nice pond across the street. 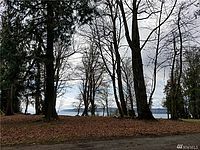 Wonderful buildable lot on private Island. Marina, Golf Course, tennis court, Yacht Club, foot ferry and a bus. Miles of beautiful beaches. Clamming, fishing, eagles, whales, and so much more. This is a private Island , close to the port of Everett. We are allowed to rent our homes. Custom Bluff Rambler. This home has it all. SW View of sound, and Mountains. Custom throughout. Dinning room and living room separated by floor to ceiling 3 sided fireplace. Kitchen w/ext. cabinetry. SS appliances, movable Island. Corian and cultured marble counters. Beautiful master with view and oversized custom master bath. Wrap around Trex deck, HARDWOOD SIDING. 1 CAR GARAGE. Most funiture stays with home. Isuzu car also Garden, and fenced front. Call 206-999-4962 to schedule a visit to the the Island. includes picnic area & camp. 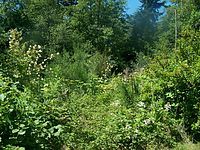 Hat Island is one of Snohomish's best kept secrets, located between Everett and Whidbey Island, approximately 5 miles out of the Everett harbor. 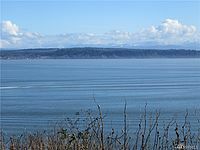 From Hat, there is a view of Everett, Whidbey and Camano Islands. Although it is a private island, they do have their own ferry for owners and invited guests, and a barge for transporting large items and automobiles. Manyowners keep a car on the island, for easy access to properties. Hat Island has a beautiful marina, yacht club, 9 hole golf course, tennis court, covered picnic area, and community beaches. They hold golf tournaments, boating events, picnics and other community events. Some join in the activities, while many prefer the quiet, seclusion and miles of sandy beaches. There are approximately 500 lots in the island, but less than half have homes. There are people who live on the island year round as well as weekenders. Hat Island has power from the mainland, and there is a community water district on the island. All the roads are maintained, but none are paved. We even have our own gravel pit, and two builders right on the island. Other than a small nursery, there are no shopping, restaurants or espresso stands. Our wildlife is limited to a thriving rabbit community, our island ducks, hummingbirds, and various other birds including many resident Eagles. Stop by for a visit and find out for yourself what Island living is all about. If you decide to have your own dream home or vacation property on Hat Island, click on the Available Properties List link below and feel free to contact me with any questions. Beautiful level lot. Maintained. Ready to build, across from bluff. Community beach with covered picnic area, bathrooms and showers, PGA Rated golf course, tennis court, Yacht and Golf Club and miles of sandy beaches. Come and enjoy this beautiful private Island. Enlarged Marina, Golf Course, Tennis court, miles of beautiful beaches and more. Great lot, treed. Large Beach Front home on private Island.90 feet of waterfront w/boat ramp & sandy beaches. 90% of home has view. Large windows, open concept. Bedroom on main level w/ bath. Mater bedroom w/bath and balcony, 3rd bedroom w/private bath. 2 story shed.ALL New siding, ALL new paint and updating. Private Island w/ golf course, tennis court, Yacht club and Marina. Spacious Bluff home. Most of home has unobstructed View of Mt. 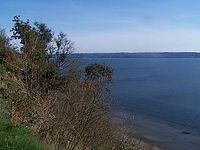 Baker, Cascades, and Puget Sound. Four bedrooms with 1 3/4 bath. Rec. room with bar and solarium room w/ full view. Cement Planked siding, Metal Roof, and double pane windows. 2 car garage and out buildings. Island has Marina, PGA Rated golf course, tennis court, picnic area Yacht Club and miles of Beautiful Beaches. Home includes all furniture and appliances. Clamming, Crabbing and and the good life. Wonderful Rambler. Easy open working Kitchen with newer appliances, Large eating bar. Dining room that leads to family room/office. Formal living room with wood fireplace. Master with Separate Bath. 2 more bedrooms full bath. New carpets and new laminate. Heat pump with new furnace. Fenced back yard. one side on Green belt. Patio and storage shed. Tons of storage. Room for RV or Boats. 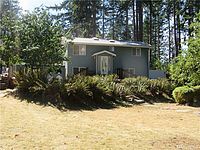 Minutes to Boeing and Silver Lake amenities. Low utility bills. Wonderful cabin across from bluff. Corner lot. High ceilings, easy working kitchen. Master on main level, upper loft. Wrap around desk and shed. This lot is .67 of acre. This also includes 2nd lot next to this one . 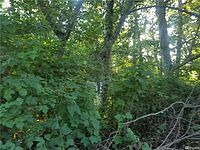 This lot is lightly treed and flat. It is .98 of acre. Total is 1.65 acre. Beautiful home, End of private cul-de-sac. Great floor plan w/ room for everybody. Formal living room with gas fireplace.Gourmet Kitchen, large Island.walk in pantry. Gas Cooking Stove.Granite Counter Tops. Hardwoods. Den with French Doors. Master with walk in closet, Private bath. All other large bedrooms have walk in closets. 4 Bedrooms. Upstairs laundry. Forced air Gas heat. Extra large entertaining deck off Kitchen. Built Green. Fenced Back Yard. Green Belt. Close to play area. Shopping, Schools and Bus Close By. A Must See to Appreciate!!! 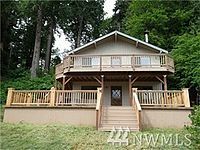 Spectacular Well-crafted Home on Private Island ( Hat Island is 4 miles out of the port of Everett). Built with the finest materials. View from 90% of home. 3 stone fireplaces. High vaulted ceilings. Private Den, Great room, Master with View and private Bath. Beautiful easy working Kitchen that opens to large entertaining deck. All appliances stay with the house. Furnishings, boat and motor, quad, recreational equipment and auto are negotiable..Large wall around home for privacy. There is a PGA Rated golf Course, tennis court, enlarged Marina and your own private Beach. You own to the lowest tide line. The house is situated on Lot 20, leaving Lot 19 available for possible future construction. Septic was recently pumped. The home is built on a passive solar mass. 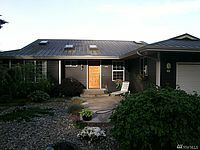 The owner spent 12 months taking sun angles at various times of the year to establish efficiencies for a passive solar system for the home. It consists of a large mass of stone under the home, with a single pour solid mass of concrete over the top of the stone, integrating with a foundation pour, and a finish pour of stamped concrete. The eves of the house are angled and extended to maximize for use, the sun effects on the home. In the summer when the sun is high and in the north the sunlight penetrates the front of the home only, allowing the solar mass to stay cool and cool the home. In the winter when the sun is low and in the south, the sunlight penetrates to the back wall of the house to warm the mass and help warm the house. It works well as the owner has never had to leave the heat on in the home in the winter time if they happen to be away. Another feature is the concrete wall at the rear of the property. It is designed to protect the house in the event of a land slide. It consists of a mass of concrete 3 feet deep, 4 feet wide, and approximately 100 feet long buried in the ground. It is connected to 2 upright walls, with internal rebar. The rear wall is 8 feet high, and 8 inches thick. The inside wall is 6 feet high, and 8 inches thick. They are connected at intervals by internal buttress walls of like construction. The wall was then filled with rock and topsoil and planted. The estimated mass is 440,000 lbs. At the base of the bank in the rear of the property the owner has placed eco rock, 2 high to maintain the toe of the bank. 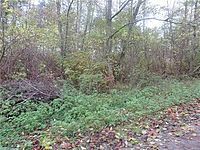 A ditch has been maintained that creates a reservoir for water runoff from the bank and is directed through a 10 inch pipe, under the road and out to the beach through the bulkhead. The bulkhead is a monolithic pour over a rock base. There is a 4 foot footing on the water side of the bulkhead and and over pour of the rock linking it all with concrete. It also features a poured stairway to the water, an 8 foot wave splash apron with drain, and a large boat launch. The roof was recently replaced with galvanized metal, standing seam roofing, along with matching gutters and downspouts. The fireplace is a unique construction featuring a triple fireplace with a single chimney. All of the rock was picked from the gravel pit on the island. The fireplace functions from the living room, the den, and the master bedroom. This truly luxurious 3bd+BR craftsman home is ideally located on quiet cul-de-sac and sits on a HUGE end lot that is fully fenced with 3 drive gates in highly rated Lake Stevens SD! Home features stunning wood wrapped windows, doors and trim, coffered ceilings, gourmet kitchen with granite counter tops and island, gas range, butlers pantry, under stair storage, private laundry room. French doors lead to the Private Master suite which features a spectacular 5 piece master bath and walk-in closet. This spectacularly updated, spacious 2776 sq ft home has room for everyone! Large & bright entry leads into nice central floor plan that is flooded with natural light, raised ceilings and ceiling fans throughout! Gorgeous easy working kitchen has stunning upgrades & flows into large formal dining room. 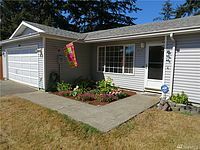 This charming home is located on a quiet cul-de-sac in desirable location mins to Boeing,I-5,Park&Ride,Shopping&more! Enormous upper level has endless possibilities for use, bonus storage room. Chance to own Waterfront on exceptional Lake Roesiger. Charming home remodeled inside and out with contemporary finishes & extensive stonework. Exposed beam ceiling is logged from the property. 2 sleeping lofts + the Master. Wrap around deck. Big yard for all activities. 54 feet waterfront. Private dock. Boat house for storage. Peaceful area of lake in no-wake zone away from skiing areas. New roof & deck. One of most highly stocked trout lakes in State. Big parking area for everyone. Fantastic One Level Waterfront Home - THIS IS A MUST SEE!! Imagine having the beach as your front yard! WOW! Built with the best upgrades and an all open great room, you'll also have awesome views from 90% of the home. Wake up to mother nature. Free standing wood stove. 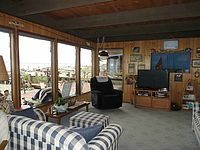 Large double pane windows, french doors, easy working kitchen, large entertaining deck, great bulk head and beautiful beaches. You own access to the lowest tide line. Most of furniture stays with home including car. PGA Rated golf course, tennis court, Yacht club, and enlarged Marina. THIS IS A MUST SEE! You will fall in love with this quiet, friendly community that makes you feel right at home! 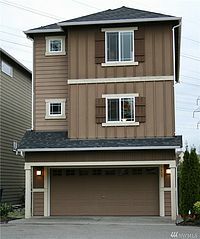 Cottage Court features 18 beautiful homes & is located in a desirable Bothell Neighborhood close to amenities and just minutes from the Mill Creek Town Center. Come & see for yourself this Bright & Spacious home, filled with tons of natural light. Beautiful hardwood floors throughout the entry,kitchen and dining room. Large bonus room and bedroom on lower level has private outdoor access & built in closets. 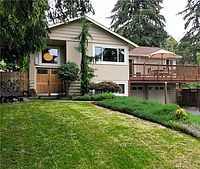 Fantastic Updated Rambler on the Bluff. Newer Kitchen, Granite, Brazilian Wood, Appliances, Cabinets, Flooring, Skylights & New Hot Water tank. Great room with free standing wood fireplace. Incredible Views from 90% of Home. Master Bedroom with view and 3/4 bath. Beautiful Refurbished Barn doors for Walk in closet & Bathroom doors. 3 Out buildings. Gardens, outside propane fire pit. Walking distance to Marina. Enjoy the PGA Golf Course and Community Beaches. This Charming rambler has many new updates & prime location near I5. Located within walking distance to shopping & amenities. This home features hardwood floors, newly updated main and master bath, new carpet in Great & Master bedroom. Pellet stove in Great room. Easy working kitchen. Dining room attached to great room. New garbage disposal & hot water tank. New fenced back yard with new gate. The roof is less then 5 years old. Outside deck with a covered patio area & storage shed in backyard. This exceptional Bothell home is truly one of a kind! It has stunning Oak hardwood floors, energy efficient windows and doors, newer guest and main bath with all the extras including marble & granite counter tops and tiled shower in the main. The elegant flow goes throughout the house into a large living space with a floor to ceiling Sandstone fireplace. Vinyl sliding door opens up to an outside oasis complete with a large private covered deck, hot tub & a built in BBQ! Close to all amenities. Home has had a major make over. New metal roof, new deck, all new lower level.New Master with new private bath. New laundry room with all new appliances. Garden area , Pond. Room for the whole family. Walking distance to PGA RATED Golf Course. Beautiful beaches, Tennis court, Yacht club, and a newly enlarged Marina. This Island has it all. Room for everybody in this well maintained home. Open. Easy working kitchen. 3 bedrooms, 2 full baths. Extra rec. room in lower level. Walking distance to enlarged Marina. New Deck, stamped concrete patio. View of Cascades and Sound. PGA rated golf course, tennis court, covered picnic area and beautiful beaches. 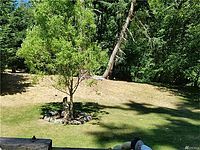 Cedar tress, fruit trees and garden space. Come and enjoy thee good life. Custom home on 3 separate private lots. open with view from 90% of home. Nana doors that open to oversized deck. all custom cabinets, mill work and tile. Upper artists studio open. Heat pump, oversized tile wood burning stove. Finished basement plumed and wired for 2nd kitchen. Cistern on 10,000 to 15000 gallons filled by roof run off. Sale include furniture, van, ATV w/trailer, Generator, riding lawn mower. A gardeners paradise with over 700 plants. 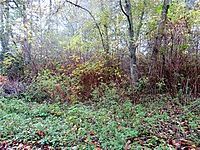 3 lots total acres is over 2.75 acres. Wonderful home with View of Mountains and Sound. Neat as a pin. Easy working Kitchen, Master and 2nd bedroom on main floor. 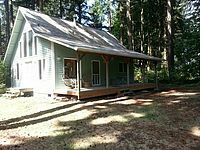 Free standing stove, double pane windows and upper level with large room. Beautiful wood ceilings. 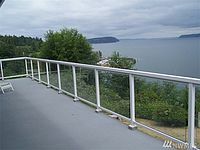 Deck and upper level with View. This home has been well cared for. Ridding lawn mower goes with property and furniture. Close to fire station and Golf Course. Many extras included. This is a Wonderful Cabin Right on the Beach. This is a wonderful cabin right on the beach. Boat access only. Wonderful community. This has 2 cabins. The second one can be used as a 2nd bedroom. Walking access to the upper Island when the tide is out. Miles of beautiful beaches and wild life. Community has PGA Rated golf course, Yacht club, tennis court, Office with apartment for rent and covered picnic area with rest rooms. Wonderful bluff home facing SW. Easy working Kitchen, Open and light. Basement has been partially finished with 1/2 bath. 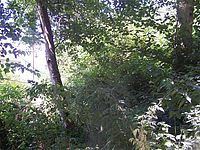 Large yard with fruit trees and room for garden. Close to community beach, PGA Golf course. The Island also has tennis court, Yacht Club and a covered picnic area. There is also a newely expanded Marinia. Foot Ferry services the Island. Well built home with tile roof. Owner will consider carry a contract. Waterfront Home. Immaculate Cabin/Home and Quaint Cabin. 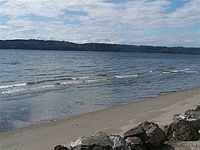 Puget Sound at your own private Beach. Clamming, Crabbing and Fishing right from your front door. This is a 2/1 bedroom home. Great room, easy working kitchen all with view. Entertaining size deck. Outside storage. lots of storage. Park your boat in front of your piece of paradise. Awesome view of the Cascades, City, and mother nature. A must see. Great rambler with View. Home has view of sound, Mtns and city. Home includes all furniture and appliance. Home is well kept, and ready to move into. Island has a new enlarged Marina, PGA rated golf course., tennis court, covered picnic area and yacht club. 10 miles of Beautiful beaches. Truly a paradise. 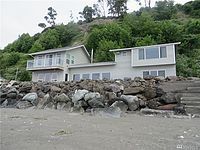 This waterfront home has been completely remodeled. All new roof, double Paine windows, tile floor, carpeting, woodwork, kitchen cabinets, sinks, counter tops, island in kitchen, all appliances including washer, dryer and refrigerator. New paint, inside and out. Under home all new insulation and vapor barrier. Price includes jeep, golf cart and furniture. Solid bulkhead. This home faces south. There is a 9 hole PGA rated golf course, tennis court, yacht club and a new enlarged Marina. A must see! Fantastic view from this great home located on a private Island. 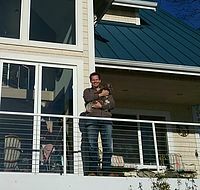 Most of home has view of the Sound, Mountains, city and the New Harbor. High ceilings, open concept. Easy working kitchen, Beautiful hardwoods and Tile floors. Wrap around deck for Entertaining. Full basement. Great for a workshop and storage. Island has PGA rated golf course, tennis court and beautiful beaches. Great opportunity to finish this great cabin. Very livable while working on it. Insulated and ready for drywall. Wired for base board heaters. Needs cabinets, and floor covering. Large covered porch. outbuilding. Walk to 9 hole PGA rated golf course and beaches. There is a community tennis court, covered picnic area, yacht club and a new enlarged marina. Want an escape from the hustle and bustle of the city? Own a cozy, rustic cabin on a private island. 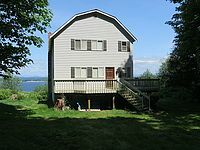 This two bedroom hideaway on Hat Island is a 30 minute passenger ferry ride from Everett. With private marina, 9-hole golf course, and four miles of beach you can’t find this kind of retreat anywhere else. The cabin includes a bedroom, bath, and open kitchen/dining/living area on the main floor and a versatile loft (currently with two additional beds) above. Enjoy walks on the beach, feeding the ducks at the pond across the street, and exploring the views around the island. Fully furnished with everything you need for a family get-a-way or relaxing weekend away. Ford 150 truck is included. Learn more about the unique and spectacular Hat Island: http://www.hatisland.org/about.htm. Wonderful Bluff Island Home Facing South. Enjoy the Beautiful Sunsets, View of Mountains and Sound. Eagles, osprey are also a wonderful contribution to this peaceful setting. Cozy Great Room with Free standing Wood Stove. Master with High ceilings. Newer Double Windows throughout Home. New Composition Roof. Plans Approved for Extension on Home. (900) feet. There is also a Garage and Potting Shed. Fruit Trees and Gardens. Beautiful Bluff lot on private Island. Come and enjoy the good life. 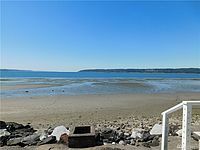 Clamming, crabbing, fishing, Covered picnic area beautiful beaches, tennis court and a 9 hole PGA rated golf course. Newly enlarged Marina.